It starts at the end of October with Halloween and a few "fun sized" chocolate bars. Then Daylight Savings arrives in early November, bringing later sunrises and earlier sunsets. By Thanksgiving, you may drive to and from work in the dark, which can really demotivate your best intentions to workout. Enter Thanksgiving feasts, holiday cookies and cocktails, Christmas meals, a New Year's party (or two), and...BAM! All your hard work in the fall is out the window, and you're trying to renew your commitment to get back in shape. The above is a reality for most adults. The six weeks between Thanksgiving and New Year's Day is prime time of easing up on your fitness routine and healthy nutritional habits. Most adults don't resume their regular fitness routine until April, leaving the 6 months between Halloween and springtime lost to colder weather and darker days. But it doesn't have to be that way. Get yourself off the hamster wheel of winter weight gain and springtime re-commitment. Head into the holiday season and winter months with clear goals and a plan. Do you want to maintain your current fitness level heading into the New Year? Or maybe beat a certain fitness or health goal? Whatever your motivation is, write it down. It's the only way you can make a plan for how you'll achieve it. Share your goals with your friends and have fun celebrating your small victories! What's your workout routine going to be in November, December, and January? What classes are you going to? What at-home workouts will you do? What days and what time? Write it down, tell your spouse, tell your friends, and stick to your plan. Cross it off day-by-day, just like your "Days 'Til Santa" countdown. Make your plan go through January. This takes the guesswork out of finding your motivation when the post-holiday crash sets in. The sun won't rise until after 7am, and it will be dark by 4:30pm. It is what is it. Don't let this deter you from your goals. You'll need to be committed to your goals to get our your warm bed in the pitch dark during the 5 o'clock AM hour or head back out after work/dinner at home for your evening workout. Be stronger than your strongest excuse. Winter workouts are all about showing up. Once you show up, you'll be glad you did by the end of the workout. The best news is: if you make it through the darker, colder days, then springtime workouts are a treat! Staying on track doesn't mean missing out on fun holiday events or parties. Aim to pick the best choice of your available options. Look for protein and veggies at parties. Drink a big glass of water between each alcoholic drink. Pick the ONE thing you really want to enjoy (dessert, booze, or seconds of your favorite dish), and enjoy it. It's when we enjoy ALL the options that we find ourselves dehydrated, bloated, and exhausted the next day. Find a system that works for you to write down your daily workouts, water intake, meals, snacks, and how you felt. This process can be a game changer in bringing mindfulness to your behaviors and actions. 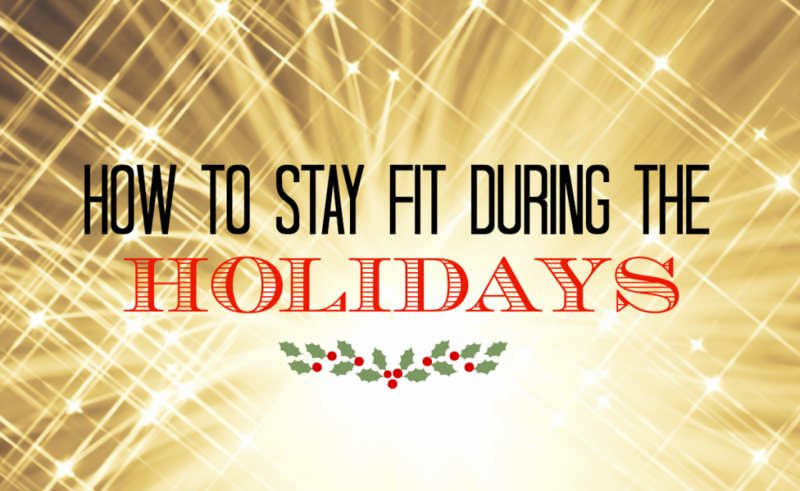 Go into the holiday season and winter months prepared, and you'll be thrilled with your ability to enjoy the holidays while maintaining your fitness goals! You've got this, mama!